The AKC recognizes 150 breeds of dog in seven main categories. Sporting dogs (setters and the like) are used to hunt animals. Hounds (bassets, dachshunds, greyhounds, and beagles) are used to aid hunters with their keen eyesight and sense of smell. Working dogs (St. Bernards, boxers, and Great Danes) are bred to rescue, guard, and lug things around. Terriers (Scotties, Airedales, and Cairn terriers) are the largest group of dogs. These were initially bred to get rid of pests like rats and mice, perhaps as a cat substitute during the Middle Ages, when cats were viewed as satanic. 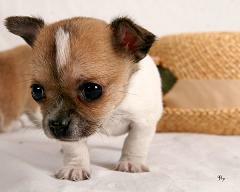 Toy dogs (like the Chihuahua and the miniature poodle) are in existence simply as showpieces. Traditionally, they’ve been the pets of the royal and rich. Members of the ambiguous group of non-sporting dogs (for example, dalmatians and chows) have various characteristics of sporting dogs but don’t fit under any specific classification. Lastly, herding dogs (like German shepherds, Old English sheepdogs, and collies) were bred only to herd livestock. A separate miscellaneous category exists in some dog shows for breeds that aren’t yet officially accepted for registration but are growing in popularity among breeders.